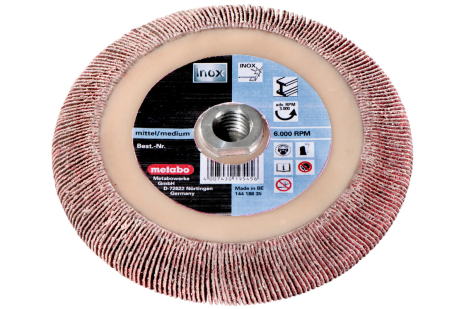 Quality class ceramic "Flexiamant Super"
Flap disc with straight, profiled fins particularly suited for processing fillet welds. The fan-shaped fins adapt exceptionally well to the contours of the work piece. 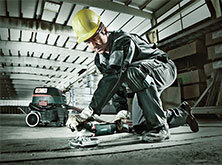 Ideally suited for an evenly smooth weld seam. Thanks to the offset shape, it can also be used in hard to reach places. Very high cutting output with very high tool life thanks to the use of ceramic grain. 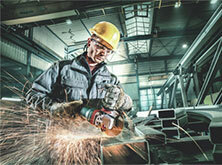 Excellent results for surface and edge grinding of steel and stainless steel. Ideal for extreme grinding jobs like processing high-alloy steels, titanium alloys, nickel-based alloys as well as chromium and chromium-nickel steels, brass and bronze thanks to high load capacity.